Competition Karate: Just One Big Friendly? 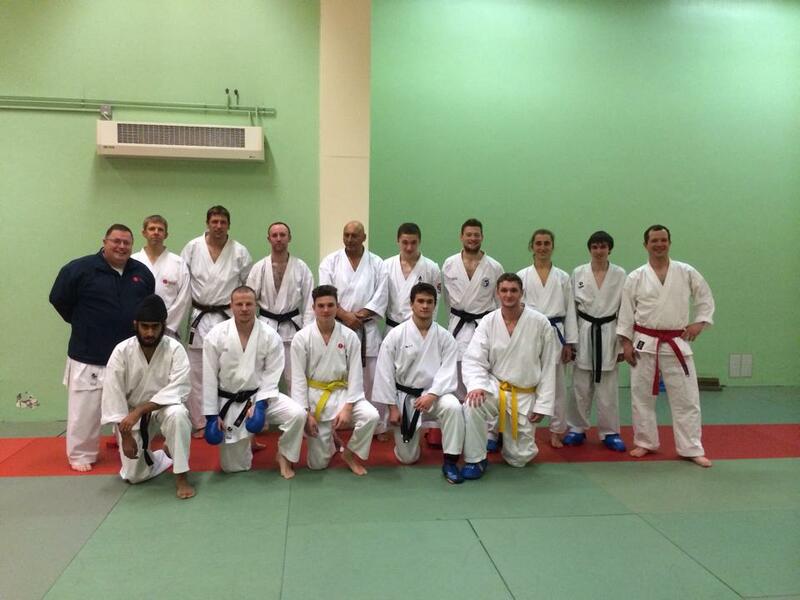 Sunday the 23rd November saw Birmingham University’s karate club led by John Johnston Sensei invite a few of us from Ruach karate clubs for a Kumite event. So after making some apologies to my Dad on his birthday (sorry Dad), I jumped on a train to go join up with 5 others making up a team of six to fight for a couple of hours against some of the Birmingham University bunch. During the build up in training the week before, the word “friendly” was mentioned by our Sensei and upon arrival on the day, John Johnston Sensei also reaffirmed this concept of a friendly between the two clubs. This word had, and still has left a sour taste in my mouth due to what I can only relate as a personal failure to grasp this term when thinking of semi contact karate. In fact, I’d go as far as to say all semi contact martial arts as a collective. With this definition then yes: The event was not part of a serious competition. There were no medals to be won, just a fight to try techniques and give us a chance to fight others. There were winners and losers, but not a competition in the way we’d usually look at it. So what’s still bugging me? If we exclude the medals, then in my opinion there were to be no difference between this “friendly” event and a serious competition. All techniques in both “friendly” and “non friendly” concepts are semi contact. We are never out to hurt or injure our opponents in this event, nor any competition in the past, present or future. So the point I make; What is the difference (bar a medal or trophy), that constitutes this “friendly” label when our attitude, aggression and control of technique never changes? If I look at friendlies in other sports and take football for example then this gives more understanding. The idea of playing a match with no bearing on league tables nor any points towards competitions. This could be argued to bear a resemblance to karate by giving an opportunity to try out new techniques whilst not sacrificing anything from mistakes. However this is where I find a big difference with regards to “mainstream” sports vs karate and the hint is in the highlighted word above. When I go to karate, I am “doing” it, not “playing” it. Because of this single word it changes the concept of karate for myself and the result being that the term “friendly” in this context doesn’t seem to compute. It could be argued that karateka or martial artists start for many different reasons; Some to get fit, some to learn self defence, some to learn discipline, others to make friends to and some to compete in competition to name a few. However for all these reasons, the question I ask is why choose karate or why martial arts in particular over something else? The reasons can be transferable in all non-combat sports, all bar the one of self defence. For this reason I can’t see martial arts as a friendly. After all, the only time martial arts doesn’t become a friendly is when you’re faced in a real life dangerous situation. So thinking about it, I guess all karate competition must just be friendly, right? Now I dare hazard a guess what some of you may be thinking, I’m starting to see it to as I type. A feeling that I believe martial arts not to be classified as a sport, that karate is supposed to be traditional blah blah blah. If you’re thinking this about me then I’ll save your breath. I don’t much care for the politics. I don’t much care for the reasons why people start, whether you prefer traditional, competition, no competition. Whether you like to focus on bunkai, kata, kumite, both or all. Don’t take it the wrong way, but I really just don’t care. To me if you’re involved in martial arts and train hard then you get my respect for whatever reason you decide to do it in a similar essence that armed forces would show each other respect for serving his or her country. Remember my opinions are my own, as are yours. I send my thoughts out to make a better understanding for myself. A chance to reread back all these thoughts and emotions going on in my own head that until I make static just seem to shoot past to quickly for me to grasp. I would like to hear your opinions and after all, respectful discussions with reasoning are what we are about. A chance to learn from each other, the choice we have as individuals to use what benefits us and discard what doesn’t, but to discard respectfully. Why can we do this? Because we are karateka, we are martial artists and we are disciplined to know that respect is brought up in us to become the best self we can be. I won’t drag over this anymore, but will add that I’m happy to have met John Johnston Sensei. He helped me very early on sharing some of my blog posts to you all and created great discussion, in particular with regards to my thoughts on another blog post of mine Is Karate Developing a Soft Persona? (opens in new window). I take great enjoyment in reading his own blog around adaptive karate that can be found at Adaptive Karate Blog (opens in new window) Sensei Johnston, like Sensei Beggan is doing his bit to help others and pass down his knowledge so that karate can continue to live strong through generations. I’m thankful for meeting the Birmingham University karate club students and being given the opportunity to develop my karate. November has arrived and further along my journey I travel, new techniques, new clubs, new ambitions in the aim to develop a better self and transfer karate discipline to aid me in a real life existence. It’s a long way to go, but as Maslow would say, everybody tries to achieve self actualisation, although nobody will. I best keep going forward.